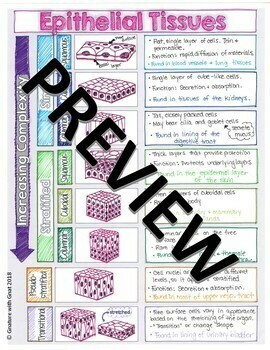 No more boring histology units! 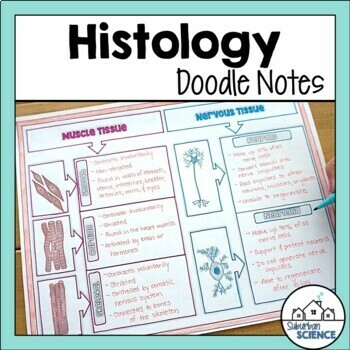 These highly visual notes will keep your Anatomy students engaged as they doodle and learn about epithelial tissues and connective tissues. They are a fun method of note-taking that aids in memory by utilizing both hemispheres of the brain. 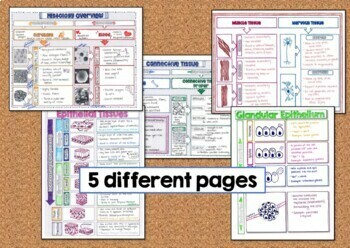 Use them on their own, in a binder, or interactive notebook. Your students will love it!